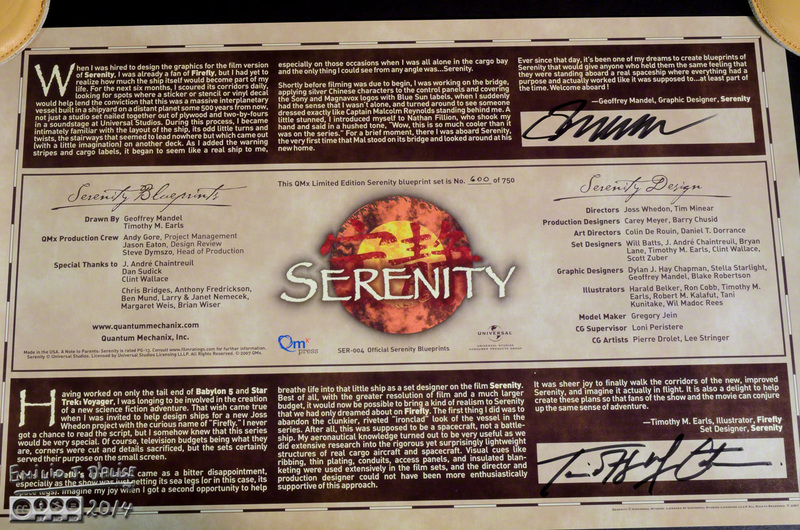 The very first purchase I made of Firefly-related stuff was one of the limited edition run (750) of Serenity‘s blueprints. You can click on the image to read the text of the two people who worked to create a better defined and proportionally correct Serenity. They took elements from the series and movie and both expanded and refined them. I ended up with Set Number 600 . . .
. . . I think I would have been pleased with 666, but that’s a different discussion. 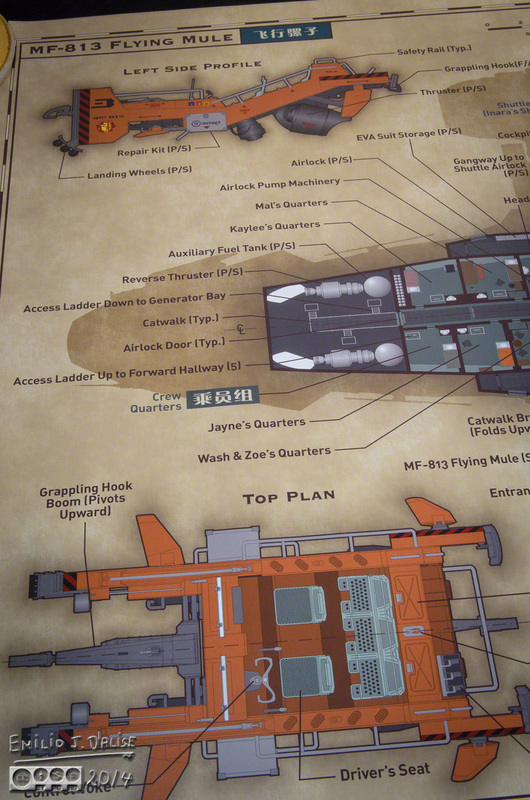 QMx is the company licensed to produce things from the Firefly ‘verse, and they do a damn fine job of it. The only complaint I have is that I missed some of the limited editions, but I’ll cover that later. They used to have an entry for the blueprints, but as far as I can tell it’s no longer listed on their storefront, even though other sold-out items are still there. 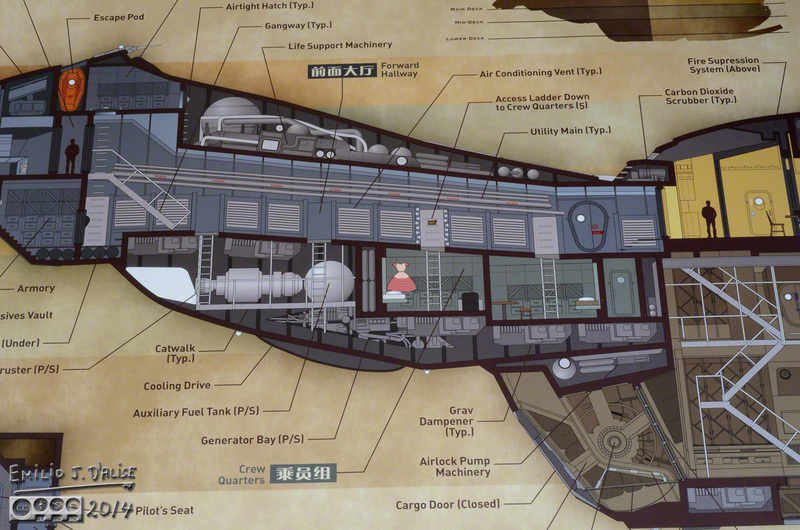 I can attest to the blueprints being something neat to look at . . . and photograph. Now, lest some people question my ability to photograph stuff, I am, in fact, fully capable of creating high-quality, 1:1 reproduction of each sheets. However, posting those would allow them with no scruples to steal them. I’m not sure if they realized the kind of work I am capable of, so I’m taking it upon myself to limit what I show and reproduce. These photos are a small part of what’s available in the prints. The ship is an important part of the series, as it connects the characters both in the physical sense (giving them individual and communal areas where they can interact), and on an emotional level (it is both the figurative and literal vessel carrying them on their adventures). It was a big set, and people literally walked from one place to another with the camera following them. 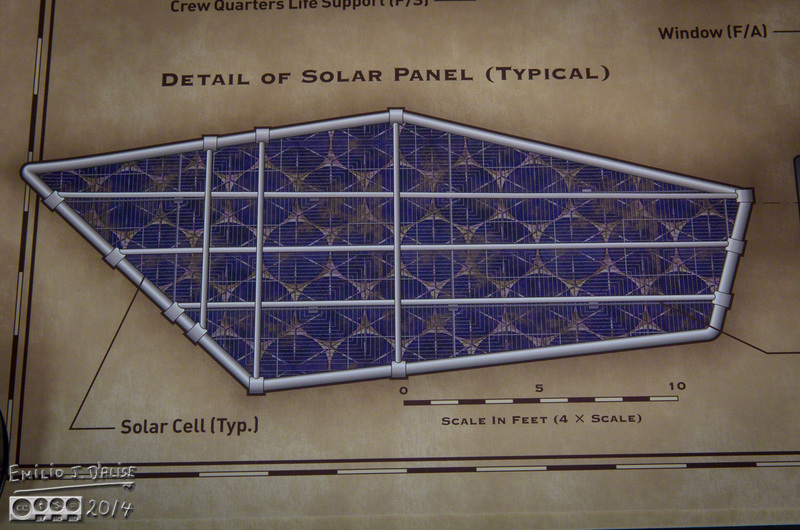 The blueprints give you a sense of the spatial relationship of things. Because you have both plan and side views, you can watch the show and have an easier time visualizing the space they inhabit. 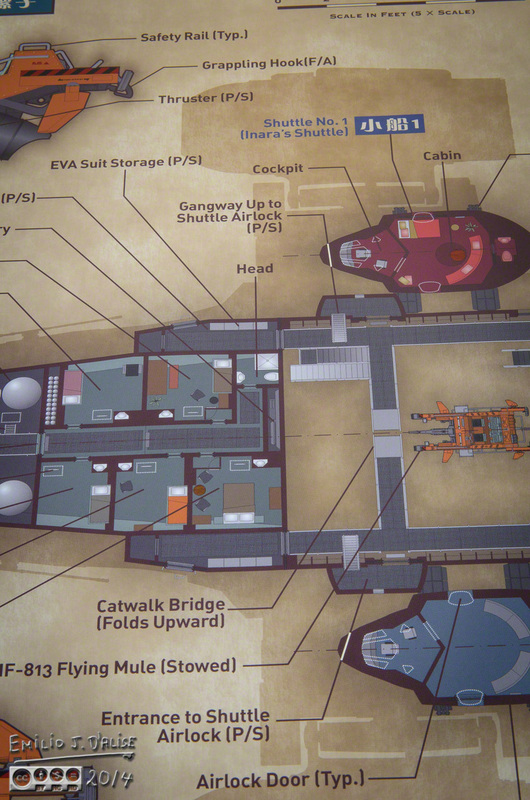 Those two shots show you the gangway (upper part) of the cargo bay is at the same level as the crew quarters and the shuttles. This next shot show you what is above that (the galley). And this side view gives you the final dimension to formulate a three-dimensional image of the place. Do you notice something in that photo? If you have watched the series, you will know both what that is, and whose quarters those are. That is what is neat about the work that QMx does. You get both information expanding on details you know, and things that tie into the shows (more on that on future posts). 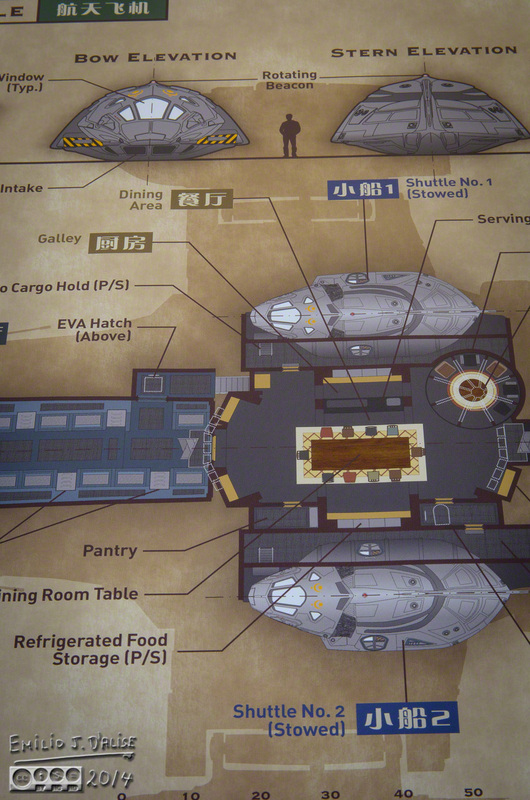 These next two shots cleared up, at least for me, an area I was having trouble envisioning; the relationship of the cargo area, the infirmary, and the passenger quarters. As I look at those, I can visualize scenes from the series, and better understand how people came to be where they were, as opposed to just having the scripts call for them to be there. 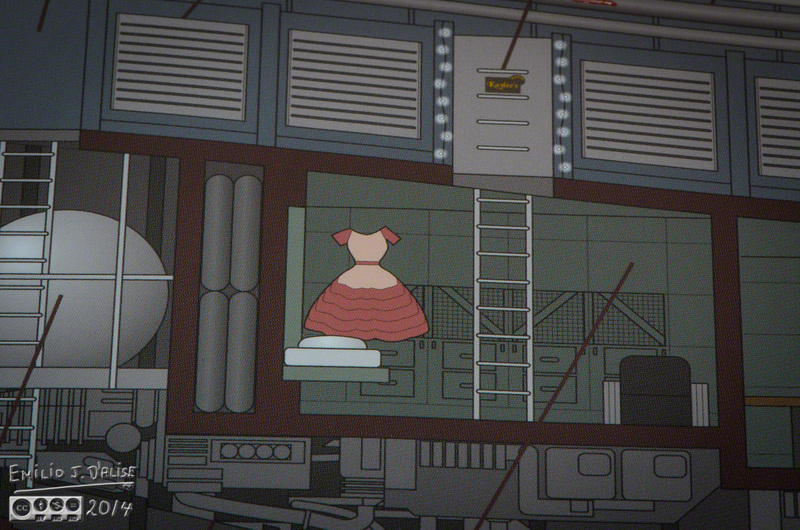 By the way, did you notice Kaylee’s hammock in the engine room? You’ve already seen the side and plan views of the MF-813 Flying mule, so here’s a shot of the side engines. 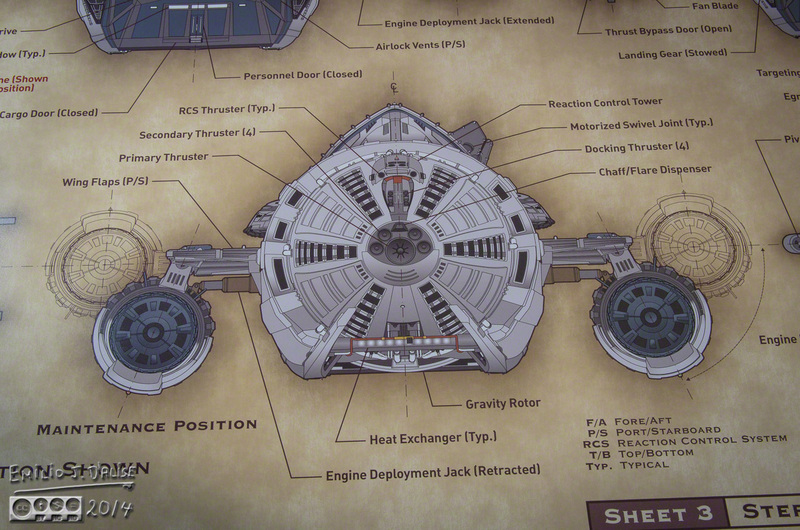 Like I said, the plans helped me visualize the ship a bit better . . . except for the engine reversing (in the pilot). 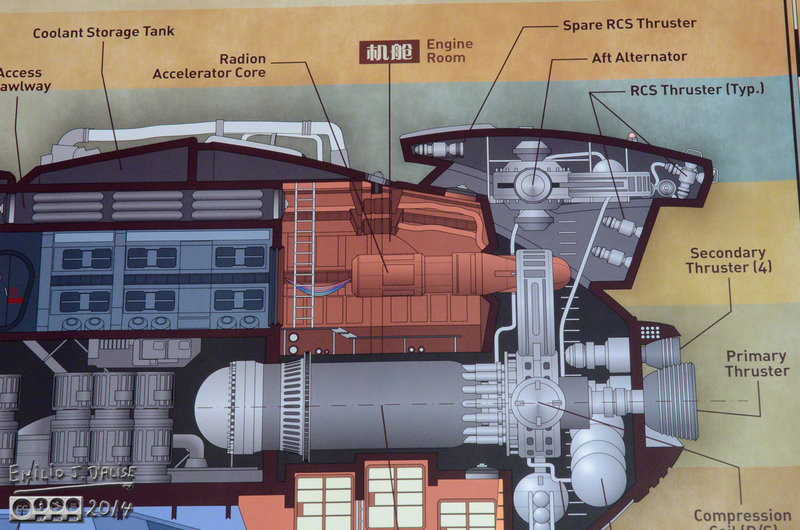 The two view of the engines (front and plan views, above) do not show how the engines can rotate relative to the ship given there are two attachments to the ship, one of them being the deployment jack. 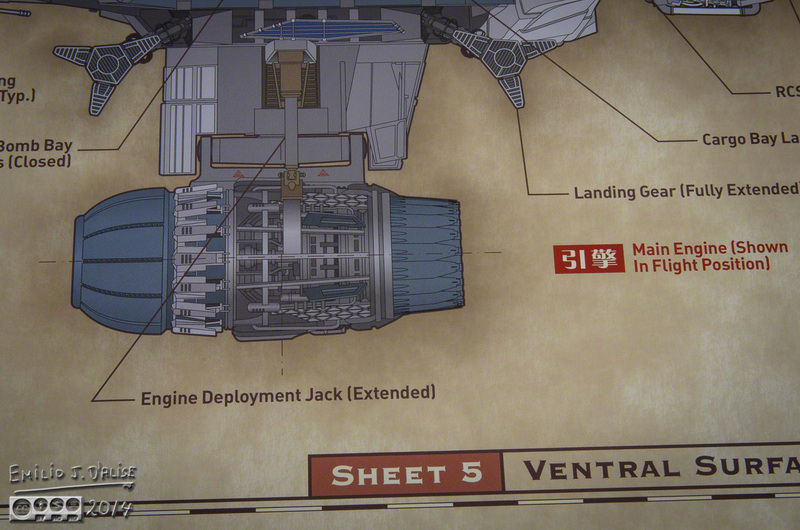 But, hey, it’s fiction, and if the engines need to rotate, they are going to rotate . . . but still . . . The 750 run of sets has long been sold out, but there are other products QMx offers that have the same (and more) information, albeit in a smaller format. I bought these plans with the intent of framing a few and having them up on a wall, but the arrangement of our current house does not lend itself to it . . . hopefully our next house will. I aim to have a few where I can see them (not all 10; that would take up a lot of space). 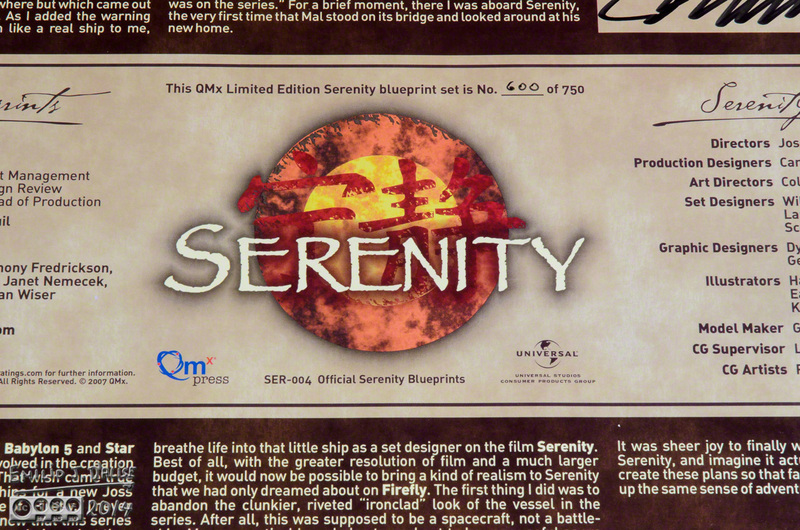 I own more Serenity related merchandise, and some is very neat (I ain’t no good with words, so I speak what I feel), so there are more posts a’coming. 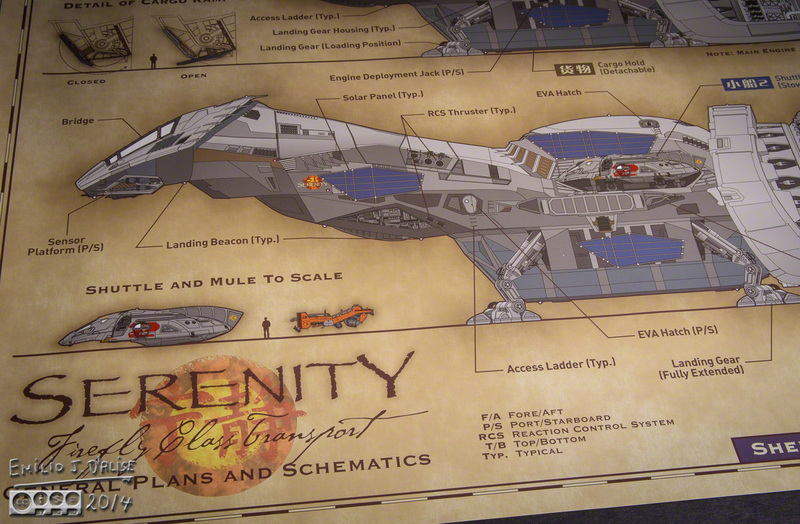 This entry was posted in entertainment, Photography Stuff and tagged entertainment, FireFly, Serenity, Serenity Blueprints. Bookmark the permalink. There is an amazing amount of detail in the drawing but I’ll leave it to you to determine how accurate they are, since I have not seen the entire series. 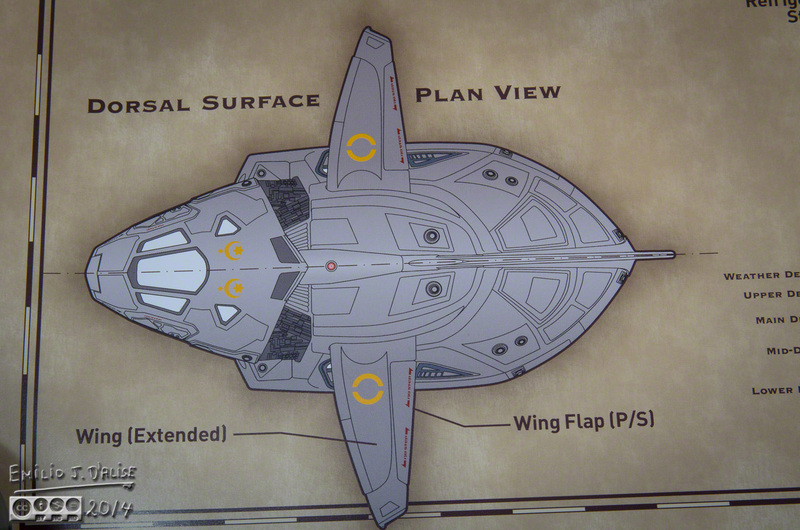 I had a similar set of plans for the Enterprise (Starfleet approved) but they were stolen long ago by a rabid fan. I didn’t realize until later that they became very valuable. Wait . . . it’s been a few days and you’ve still not watched the entire series?
. . . hmm . . . I sense a disturbance in the ‘verse . . . I doubt these will become all that valuable (the fanbase is not as large as the Trek fans . . . although it is as rabid). When I was looking for the PDF I came across a collector site that was selling them for about twice the issue price. And sorry to hear about the loss of your Enterprise plans . . . did they break into your house, or was this someone you knew? I loaned the plans to a co-worker who was a Trekie. He quit his job and left town with the plans and I never heard from him again. His ambition was to direct a STAR TREK sequel. Probably would have been better than what we got . . . 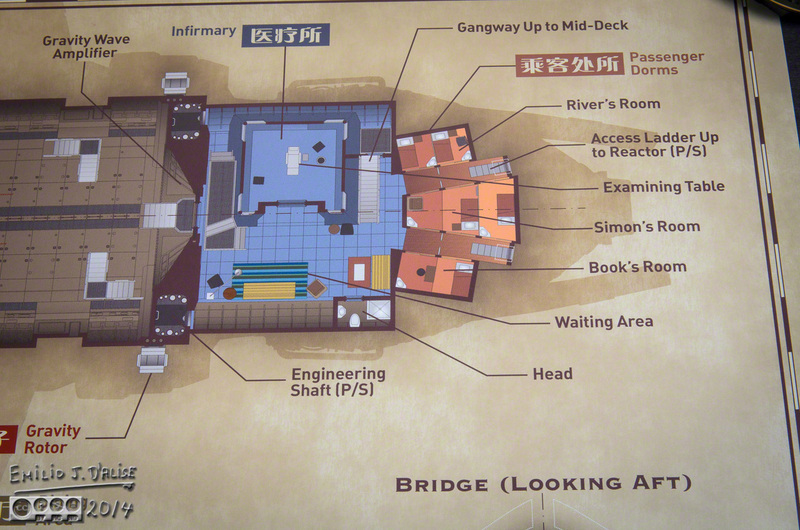 These plans are really beautifully done and I like the small personal details, like the dress and hammock. 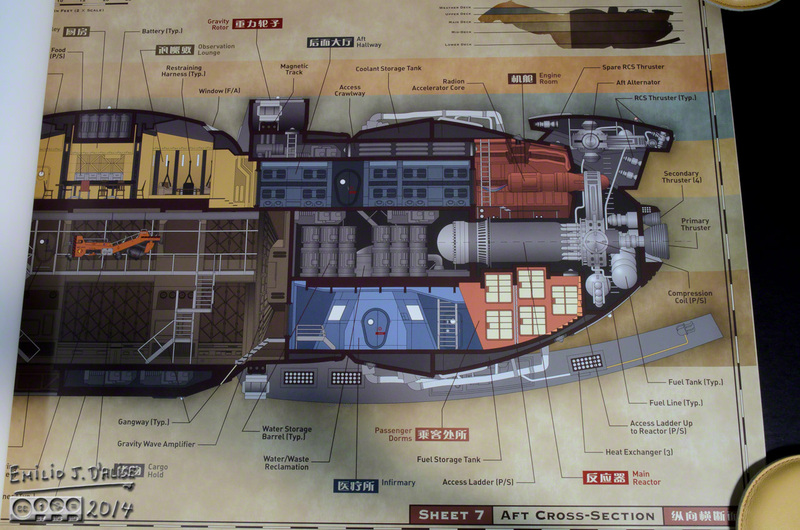 Not having been able to get the entire ship’s layout by just watching the series, now I’ve got it! I need a few more times to review the plans and then I can proceed to watch the series and know exactly where the cast are going as they move about! Thanks for the info! 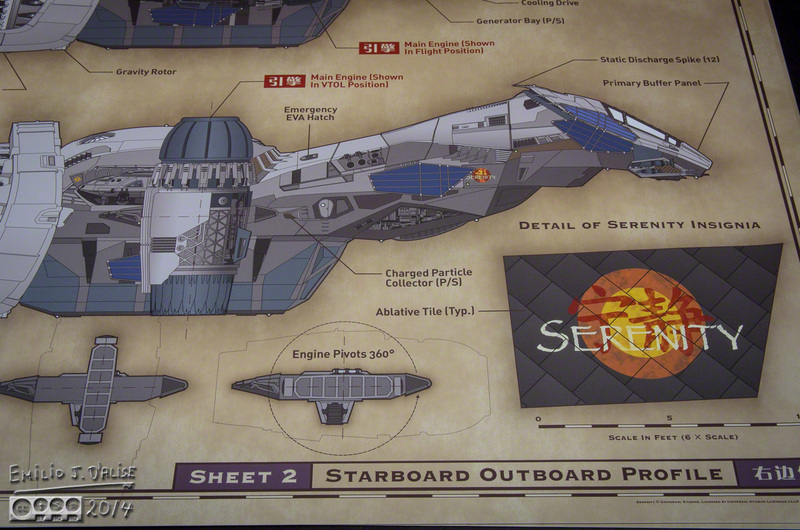 How does one get a set of these prints, I would love to have ago at scratch building Serenity and these would be a fantastic help. I have downloaded hundreds of images from the net already. These were a limited edition set . . . they are no longer being made. I’ve not seen them on sale anywhere. I do plan to put mine up for sale on e-bay pretty soon, along with all the other stuff I have (wanting to pare down, and all my serenity stuff is stored away). Just so you know, the last set on eBay sold for $250 (US) plus shipping. I don’t know what its actual costs to ship to the UK is, but it does not appear cheap. A quick calculation tells me a tube of the size containing the prints would run $192 via UPS, and $80 via regular mail. QMx also published a smaller version of the plans. I gave mine to a family member, but you might still be able to find someone willing to part with it. The original price was around $40. Just curious . . . how large do you intend building it? That’s pretty ambitious; do you have experience in making models, and what do you do with them afterwards? I caught a glimpse of it before my browser blocked it at a “known malicious site”. I presume that is not your doing, but that website is listed as malicious by Norton. If it’s not, you might want to take issue with Norton to clear up any misunderstandings. Do you mean the link or the oddboyz web site..??? It flagged the website, and because the link is to something on the website, it immediately blocked it, flagging it as malicious. I use Norton. Perhaps they flagged wrong. You could have some friends who use security software check it out (both the link and website).